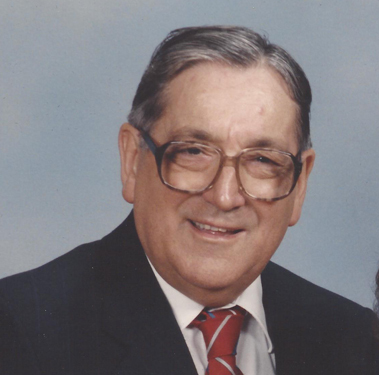 Frank E. Wierman Jr., 91, of Middletown, entered into eternal rest on Friday, September 7, at Penn State Milton S. Hershey Medical Center . He was born on April 29, 1921 in Carlisle and was the son of the late Frank E. Sr. and Charlotte R. Baer Wierman. He served in the United States Army as a radio operator during World War II and later in the Air Force during the Korean Conflict, and was employed with the federal government until he retired in 1974. He was a devout Catholic and a faithful member of Seven Sorrows of the Blessed Virgin Mary Catholic Church, Middletown, serving as a lector and usher; was a member of Knights of Columbus #3501, Middletown, a Fourth Degree Knight of Columbus, Past Grand Knight and Faithful Navigator, and former District Deputy who served as State Treasurer of Bishop Shanahan Assembly from 1972-1974; and he enjoyed gardening, woodworking and traveling. In addition to his parents he was preceded in death by his loving wife of 59 years, Anna Mae Montalto Wierman in 2002. He is survived by his two daughters Barbara J., wife of Rick Morey, and Kathryn R., wife of Edward Resovsky, all of San Diego, Calif.; two sons Frank E., husband of Joan Wierman of Phoenix, Ariz., and Robert W., husband of Becky Wierman of Middletown; grandchildren Carrie, Melissa, Hannah, Ryan, Robert, Leslie, Marcus, Alex, Jesse and Nicholas; and 10 great-grandchildren. Mass of Christian Burial will be celebrated at 10 a.m. on Wednesday, September 12, at his church, 280 N. Race St., Middletown, with the Rev. Ted R. Keating Jr. as celebrant. Burial with military honors will be in Indiantown Gap National Cemetery, Annville. Visitation will be from 9 a.m. until time of Mass on Wednesday in the Narthex of the church. Condolences may be shared at www.matinchekanddaughterfuneralhome.com.